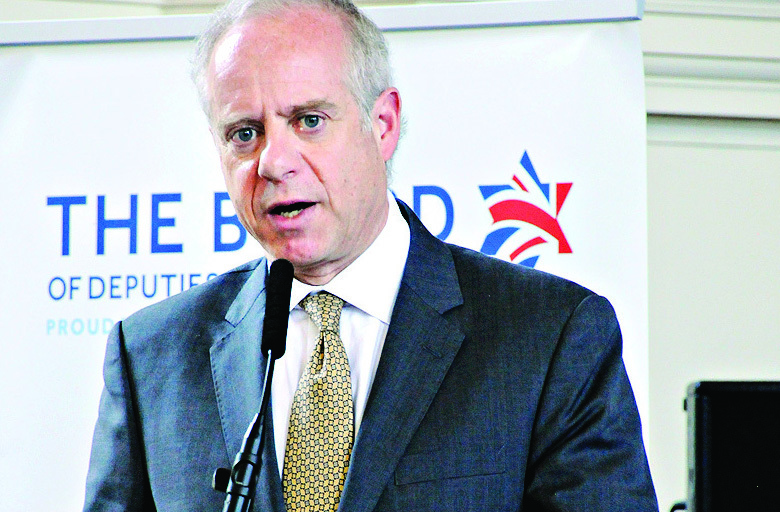 The president of the Board of Deputies has told Jewish students not to study at the London School of Economics because the prestigious university hosted an American professor who has been repeatedly condemned for anti-Semitism. 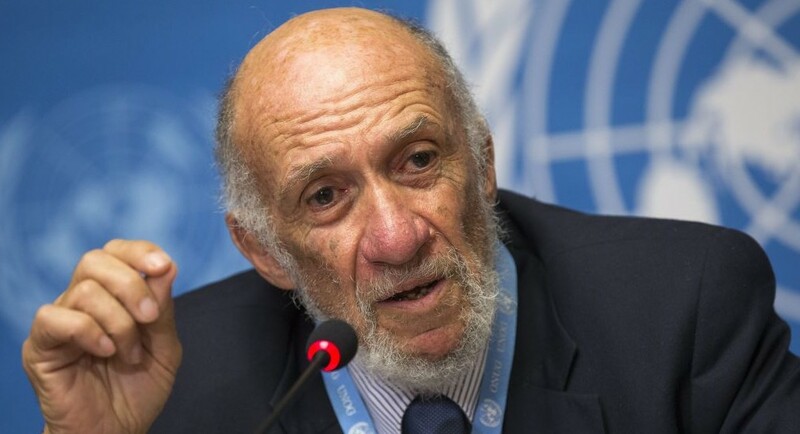 In an unusual move, Jonathan Arkush “strongly advised” Jewish students where not to study, after LSE chiefs stood by their decision to invite Professor Richard Falk, former United Nations Special Rapporteur to Palestine. Falk’s recent co-authored report for a UN commission accuses Israel of “apartheid,” and in his former UN role he accused the state of “war crimes”. He was speaking in London on Monday at the launch of his book Palestine’s Horizon: Towards a Just Peace, in which he says Jerusalem has been “ethnically cleansed”. The LSE’s Jewish Society said it was “completely unacceptable that Jewish students were subjected to the comments made during the talk”, and called for the university to take “strong action” after the event turned ugly. Gilad Atzmon, one of Falk’s supporters in the audience, told students to read the works of notorious Holocaust denier David Irving. In 2012, the UK’s Foreign & Commonwealth Office condemned Falk for providing the cover endorsement for Atzmon’s book The Wandering Who, which accuses “the Jews” of being “the only people who managed to maintain and sustain a racially-orientated, expansionist and genocidal national identity that is not at all different from Nazi ethnic ideology”. Falk’s address was interrupted as the event descended into chaos, with pro-Israel and pro-Palestinian activists shouting accusations. Two pro-Israel activists – Jonathan Hoffman and Sharon Klaff – were removed for disruption. At the back of the room, security guards waded into a fracas, with postgraduate Sapan Maini-Thompson later saying Atzmon audibly claimed Jews were being removed for misbehaviour, as in Germany. He told Jewish News: “He said to those around him ‘the Jews were expelled from Germany for misbehaving’ – which he repeated when challenged. During the launch – organised by the Civil Society and Human Security Unit within LSE’s Department of International Relations and also promoted by the Council for Arab-British Understanding –Hoffman repeatedly shouted at Falk, calling him an “anti-Semite”. He unfurled an Israeli flag as he was led out. Additionally, a joint statement was issued from the Students Union and LSESU Jewish Society, which said: “The SU is disappointed and dismayed to see that the School failed to seriously acknowledge and respond to the concerns raised by Jewish students regarding the invitation of Richard Falk on campus on the 20th March 2017. Despite the heads of the School, as well as the department, being contacted about these concerns in advance of the event, the issues were not replied to. We are therefore shocked and upset to hear of the subsequent anti-Semitic incidents that occurred during the event, and acknowledge that many Jewish students must currently feel negatively impacted”. Attention had initially focused on a report Falk recently co-authored on behalf of the UN’s Economic and Social Commission for Western Asia (ESCWA), which concluded that Israel was imposing an “apartheid regime” on the Palestinians. After protests from the US, it was withdrawn from the ESCWA website. Falk, who is professor emeritus of international law at Princeton University, said the “firestorm” the study provoked meant it gained “ten times more attention than it otherwise would have,” after Israel’s Foreign Ministry likened it to Der Sturmer, an anti-Semitic Nazi propaganda publication. During the event, Falk referred to the “changing dynamics of Zionist ambition”.